Pavel Fitin was born in Ozhogino, Russia, in 1907. He studied agricultural engineering at the Timiryazev Agricultural Academy. He served in the Red Army before working for State Publishing House. Fitin specialized in producing propaganda literature on the changes taking place in agriculture. 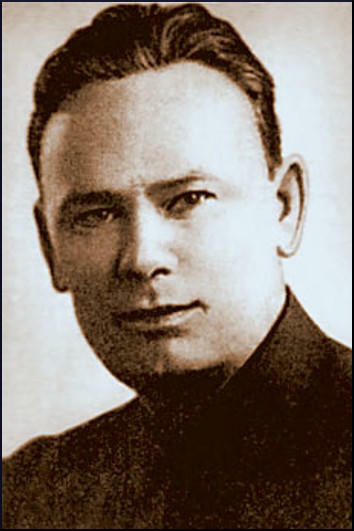 In September 1939, Major Pavel Fitin, now the head of NKVD's foreign intelligence unit, reported to Lavrenty Beria, the Commissioner of Internal Affairs, that: "The American Trotskyite organization is the strongest in membership and financing among all the Trotskyite groupings." 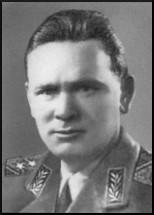 (4) A memorandum was circulated that suggested that one of the most important Soviet spies in America, Jacob Golos, was not to be trusted: "since he knows a great deal about the station's work, I would consider it expedient to bring him to the Soviet Union and arrest him." 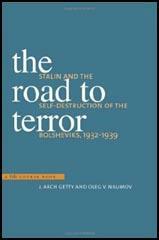 (5) Later that month Fitin wrote to Beria proposing the recall of two agents that had been "exposed to the agent Golos, who is strongly suspected of Trotskyite activities". (6) However, Golos was an American citizen and refused offers to visit Moscow. Kvasnikov suffered a set-back when one of his agents, Julius Rosenberg, was sacked from the Army Signal Corps Engineering Laboratories at Fort Monmouth, New Jersey, when they discovered that he had been a member of the Communist Party of the United States (CPUSA). NKVD headquarters in Moscow sent Kvasnikov a message on 23rd February, 1945: "The latest events with (Julius Rosenberg), his having been fired, are highly serious and demand on our part, first, a correct assessment of what happened, and second, a decision about (Rosenberg's) role in future. Deciding the latter, we should proceed from the fact that, in him, we have a man devoted to us, whom we can trust completely, a man who by his practical activities for several years has shown how strong is his desire to help our country. Besides, in (Rosenberg) we have a capable agent who knows how to work with people and has solid experience in recruiting new agents." 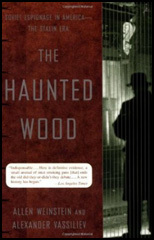 (16) Kvasnikov's main concern was that the FBI had discovered that Rosenberg was a spy. To protect the rest of the network, Rosenberg was told not to have any connection with other members of the network. However, the NKVD continued to pay him "maintenance" and was warned not to take any important decisions about his future work without Krasnikov's consent. Joseph Stalin died on 5th March, 1953. Lavrenty Beria now attempted to replace him as dictator of the Soviet Union. He was defeated by a group that included Nikita Khrushchev, Vyacheslav Molotov and Georgy Malenkov. Beria was arrested and accused of conducting "anti-state activities". Beria was found guilty and was executed on 23rd December, 1953. 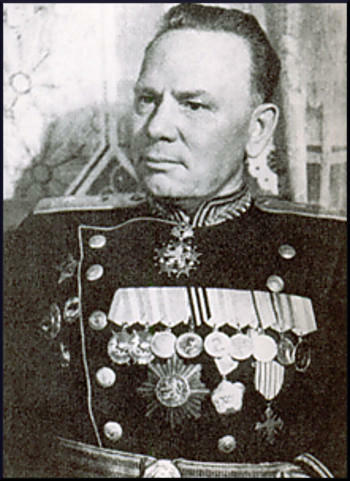 (19) Fitin, who was considered to be a close associate of Beria, was discharged from the NKVD and denied his pension. Pavel Fitin died on 24th December 1971. Despite participation by a large number of scientific organization and workers on the problem of Enormoz in the U.S., mainly known to us by agent data, their cultivation develops poorly. Therefore, the major part of data on the U.S. comes from the station in England. On the basis of information from London station, Moscow Center more than once sent to the New York station a work orientation and sent a ready agent, too (Klaus Fuchs). Valuable information on Enormoz is coming from the London station. The first materials on Enormoz were received in late 1941 from our sorce List (John Cairncross), containing valuable and absolutely secret documents both on the substance of the Enormoz problem and on measures by the British government to organize and develop work on the problem of atomic energy in our country. In connection with American and Canadian work on Enormoz, materials describing the state and progress of work in three countries - England, the U.S., and Canada - are all coming from the London station. Practical use of the atomic bomb by the Americans means the completion of the first stage of enormous scientific-research work on the problem of releasing intra-atomic energy. The fact opens a new epoch in science and technology and will undoubtedly result in rapid development of the entire problem of Enormoz - using intra-atomic energy not only for military purposes but in the entire modern economy. All this gives the problem of Enormoz a leading place in our intelligence work and demands immediate measures to strengthen our technical intelligence.